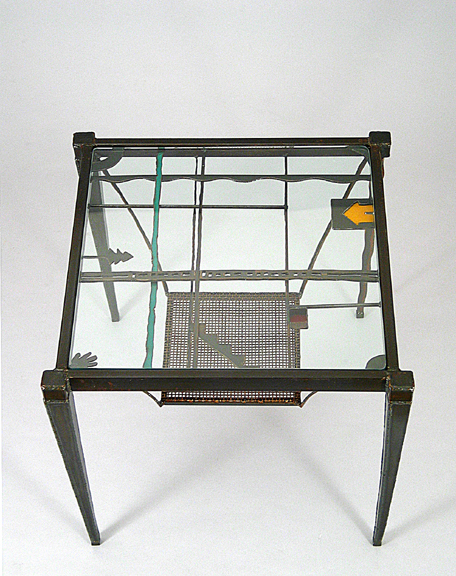 Steel, Found Objects, Naturally-acquired Rust Patina, Hand-brushed Penetrol Oil /SOLD - Private Collection / Table Value - $2,200. 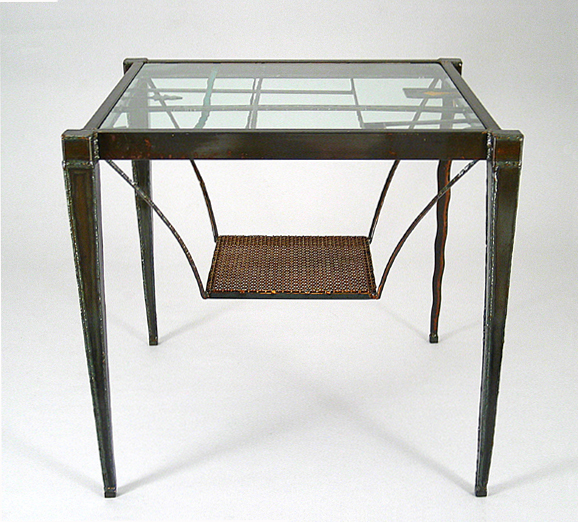 Beautifully crafted contemporary steel end table features a lower shelf made from perforated steel. Glass top rests inside frame.